Digitizor brings to you a list of 25 of the most influential games ever. These are 25 games that have changed our perception of gaming or defined gaming. We are going to present these games in 5 parts. This is the first of the series. We believe that it is not possible to give these games rankings since they are so different from each other. So, they are presented here in a random order; not based on any rank. We also admit that it is impossible to make a list such as this which will satisfy everyone. However, the games we might have omitted are not because they are not good. But rather because we are compiling a list of only 25. Alright then lets present 5 out of the 25. Pong (or PONG) is one of the first arcade games ever made. It is the first commercially successful video game and kickstarted the evolution of the gaming industry. This game was originally released in 1972 by Atari Incorporated. It is basically a ping-pong (table tennis) game, where the objective is to defeat the oponent by scoring higher points. The original PONG has been followed by many sequels and remakes both by Atari and other companies. Unlike the games that we know of today, which are more software oriented, the original PONG was made completely on transistor-transistor logics. Legend of Zelda: A Link to the Past is an action-adventure game which is the third installment to the Legend of Zelda series published by Nitendo. It was released in 1991 in Japan and in 1992 in North America and Europe. The existence of two parallel worlds between which the player travels, which is later became one of the series' trademark was first introduced in this game. 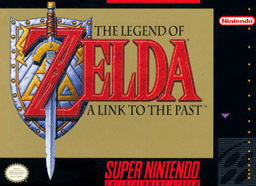 It also saw the introduction of multi-level dungeons.A Link to the Past has sold 4.61 millions copies and is one of the best-selling Super Nitendo Entertainment System games. Bioshock is a first person shooter published by 2K Games. It was released for Windows OS and Xbox 360 in 2007 and for PS3 in 2008. Elements of both role-playing and survival horror games are found in Bioshock. It was described by the developers as the "spiritual successor" to the System Shock series. It is set in an alternate history 1960. The player plays the role of Jack,a plane crash survivor who must explore the underwater city of Rapture. It has been critically acclaimed as one of the most immersive video games ever made. Elite is a space trading computer game, originally published by Acornsoft in 1984. It was one of the first home computer games to use wireframe 3D graphics with hidden line removal. Elite is the game that led to the birth of the space trading and combat simulator genre. The Elite universe contains eight galaxies, each galaxy containing 256 planets to explore; all these in the 8-bit computers that were available at that time. Thief: The Dark Project is a stealth-based first-person computer game. It was released in 1998 by Edios Interactive for Windows OS. Thief introduced the concept of avoiding combat as a gameplay method contrary to the direct confrontation that was the convention for first-person games of that time. Thief has been widely acclaimed as one of the greatest games ever made and was inflential in the birth of the stealth based game genre.